Anyway, cultural relevancy isn’t why I’m reviewing Death Spa. I’m more interested in black relevancy, and by ’80s standards (or even today’s standards, frankly), this movie is blaxploding with black people! There are a whopping FOUR familiar black faces here. 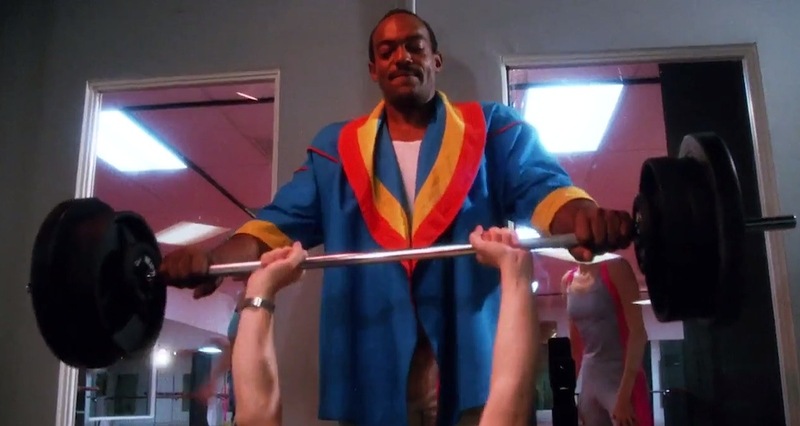 Ken Foree (Dawn of the Dead) plays Marvin, the right-hand man to spa owner/emotionless pod person Michael (William Bumiller), who, for some reason, wears a blazer with shorts while spotting people in the gym. 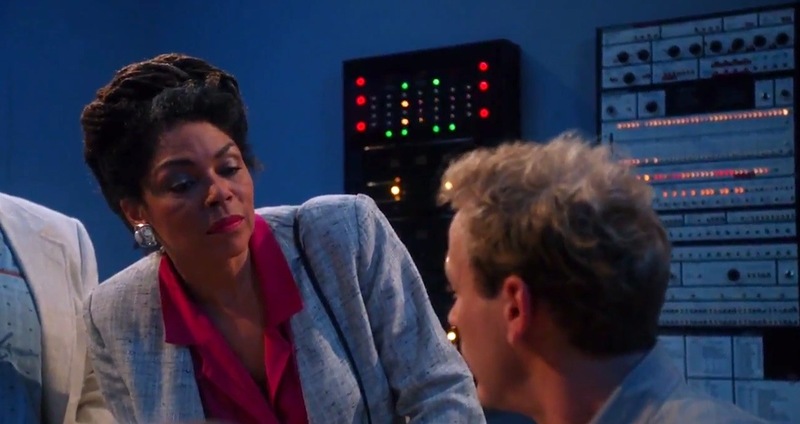 Then, there’s Rosalind Cash (The Omega Man), who plays Sgt. Stone, an LAPD homicide detective investigating the deaths at the spa. Vanessa Bell-Calloway, one year after her memorable turn barking like a dog in Coming to America, plays gym member Marci. And in an early bit part, we have The Fresh Prince of Bel Air‘s Karyn Parsons as another client, Brooke, who manages to survive being attacked by a shower. That’s right; I said attacked BY a shower, not IN a shower. You see, the deaths in Death Spa come from a series of “accidents” that may or may not be accidents (hint: they’re not). 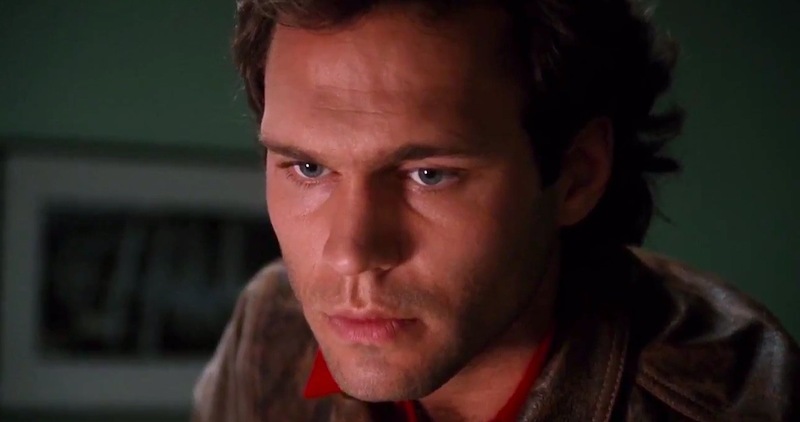 Who or what’s behind the deaths is pretty ridiculous, and it plays out like a mix of Psycho, Ghost in the Machine and a Jane Fonda workout video. It’s cheesy, yes, but cheesy is part of the charm of the ’80s, and Death Spa does actually manage to deliver several unique, gruesome kills (death by frozen fish? ), plus some obligatory ’80s T&A. And, of course, there are four whole black people! Even more if you count the extras! That said, while the black roles are plentiful, they’re relatively minor with little impact to the story — although Bell-Calloway does have a featured death scene, and Cash technically finishes off the bad guy at the end after the mandatory “come back from the dead” moment. The black characters are inoffensive, almost overly PC, and the only mention of race is Marci joking that she might dress up as Snow White for a Mardi Gras party. That’s so Marci. Joseph’s coat of many colors singlehandedly kept his dry cleaner in business. By this point, Yoda was just messing with people for fun. After work, Chuck gave into his glaucomaphilia. 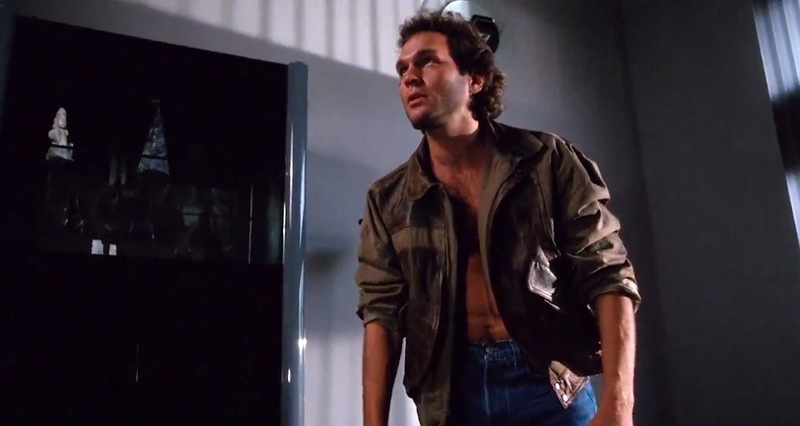 The ’80s: where shirts were just a suggestion. Is this as good as Killer Workout? Anyway, I do hope it has Diana Ross singing Work That Body on the soundtrack for the exercisers to groove to (it’s what the aerobic connoisseurs go for, rejecting Olivia Newton John). I actually haven’t seen Killer Workout; I guess I should so I can complete the entire aerobics-themed horror body of work. I don’t think they could afford any music from Diana Ross or anyone that you or I have heard of; at best, an impersonator — Dyanna Rozz? “Hahahahha…………………Don’t look, don’t look, don’t look, don’t look”.